Prevent use of unsafe equipment with this lock-out/tag-out device. The Equipment LockOut Guard is a lock-out and tag-out system that locks-out and tags-out your lift truck or other material handling equipment until repairs are made. This minimizes workplace injury by preventing the use of unsafe and malfunctioning equipment. The LockOut Guard has been designed for lock out of electric and propane forklift connections. Other energy supply connectors are also a possibility. 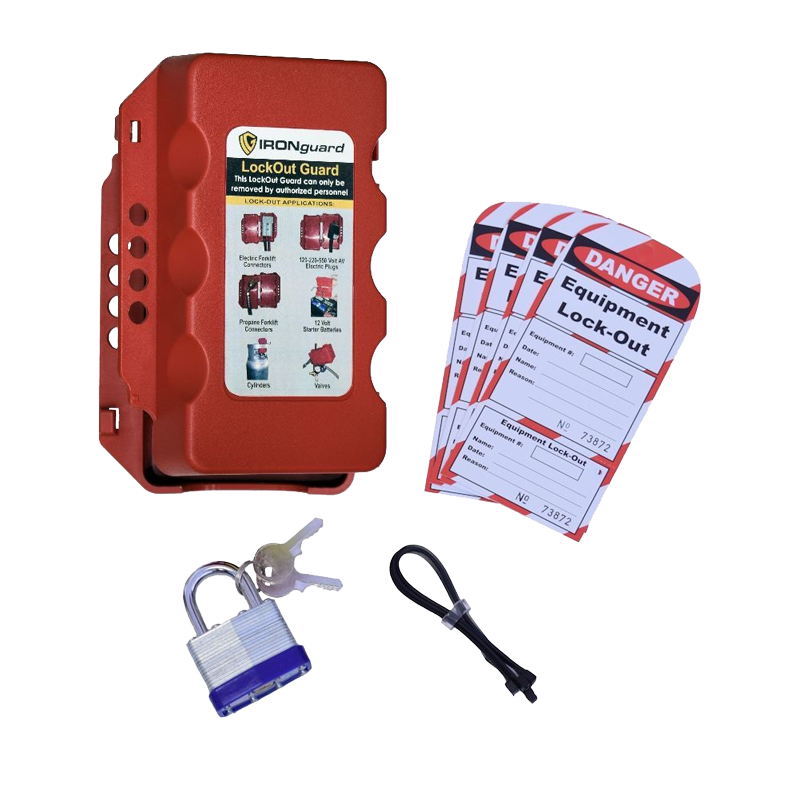 The LockOut Guard Kit comes complete with LockOut Guard box, (4) LockOut guard tags, (4) tie straps and lock with key. This equipment LockOut Guard is a simple solution to important employee safety.